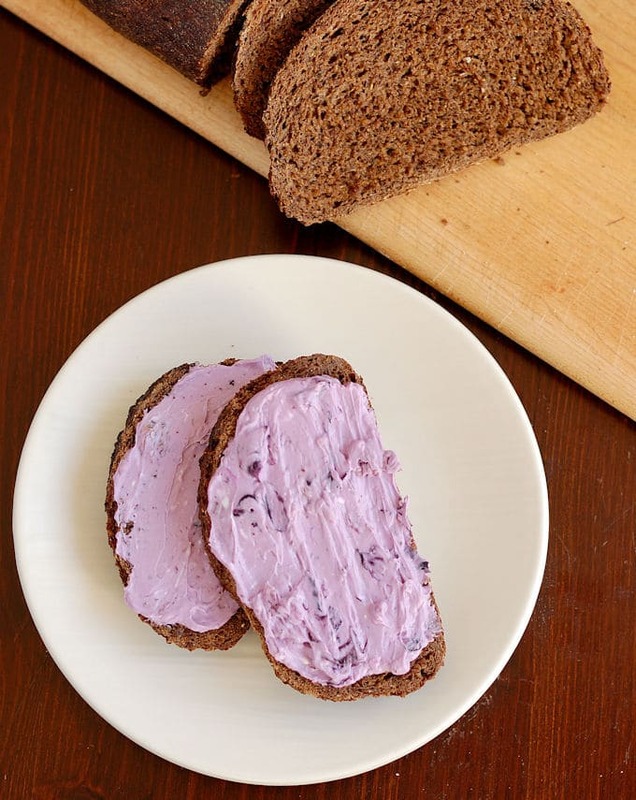 This Sourdough Pumpernickel Bread recipe makes the perfect sandwich bread. It’s a hearty loaf made with whole grain rye flour, whole wheat flour, bread flour and a couple of unusual ingredients. As I mentioned in my Overnight Rye Bread post, I grew up in New Jersey, just outside of New York City. Being near to New York meant having access to wonderful delis and bakeries, so it was easy to find a good deli sandwich on fresh bread. One of my favorite New York style breads has always been Sourdough Pumpernickel Bread. 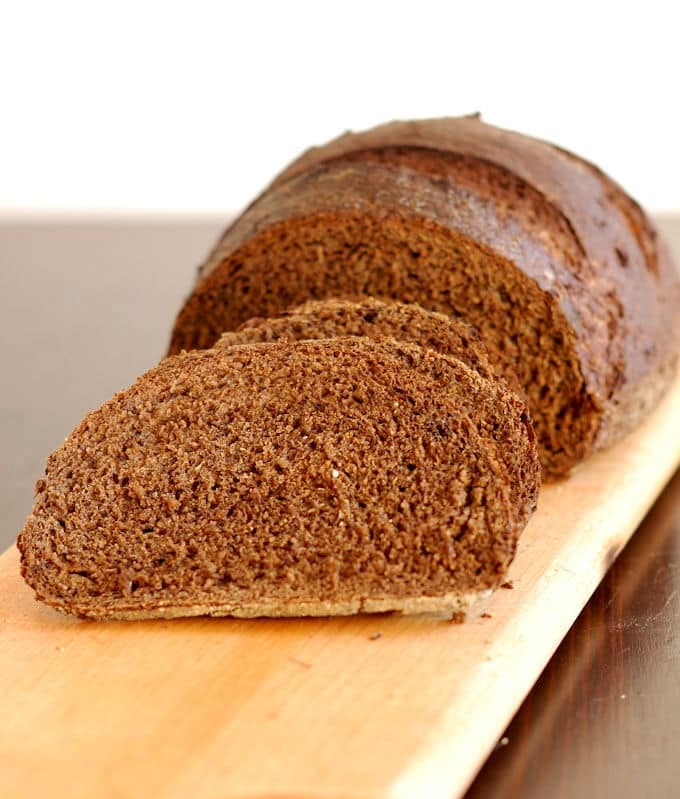 Without access to a great deli or bakery it’s not easy to find a great pumpernickel bread. The stuff you find on the supermarket shelf usually tastes like soft rye bread with some coloring added. That’s not what I was craving. 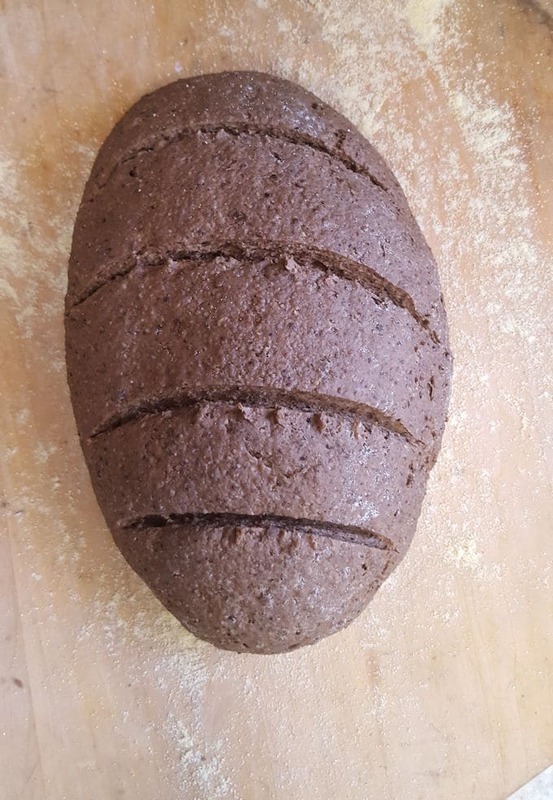 The other day I had some dried-out slices of sourdough bread left over and rather than throw them away I was inspired to make a Sourdough Pumpernickel Bread recipe. 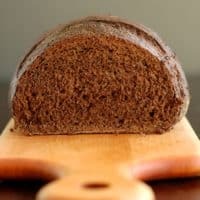 If you peruse pumpernickel bread recipes there are many versions and many ways to get the deep dark brown color in the bread. 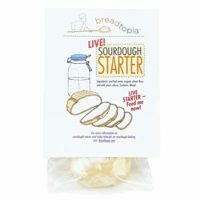 I was intrigued by some old recipes that use left over bits of bread as a basis for a new loaf of bread. Waste not, want not, right? I could see that toasted bread crumbs would add an interesting texture and deep flavor to the bread. After much research into recipes by some great bread bakers, I came up with my version of Sourdough Rye Bread. Of course the recipe was going to begin with my sourdough starter because of the flavor, texture and long keeping qualities of a sourdough loaf. I settled on a combination of coffee, barley malt syrup, cocoa and toasted old-bread crumbs to deepen the color of the loaf. These ingredients contribute a really interesting bitter/sweet flavor to the bread. Have I told you that I love bitter flavors? 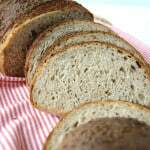 Through my research I found pumpernickel bread recipes that use anywhere from just a hint of rye flour, to all rye flour, and every combination in between. I wanted plenty of rye flavor, but needed some gluten from wheat flour. Without the gluten from wheat flour, the loaf would be too dense. There are some traditional European all-rye pumpernickel loaves that are super concentrated and very, very dense. They’re interesting in and of themselves, but that’s not the type of pumpernickel I was going for. I settled on a proportion of 1/2 rye flour, and the other 1/2 is a mix of whole wheat and bread flour. There’s just enough whole wheat flour to contribute to the flavor. Bread flour makes up the balance so there’s enough elasticity for a good rise on the loaf. By the next day the rye starter is active and ready to use. 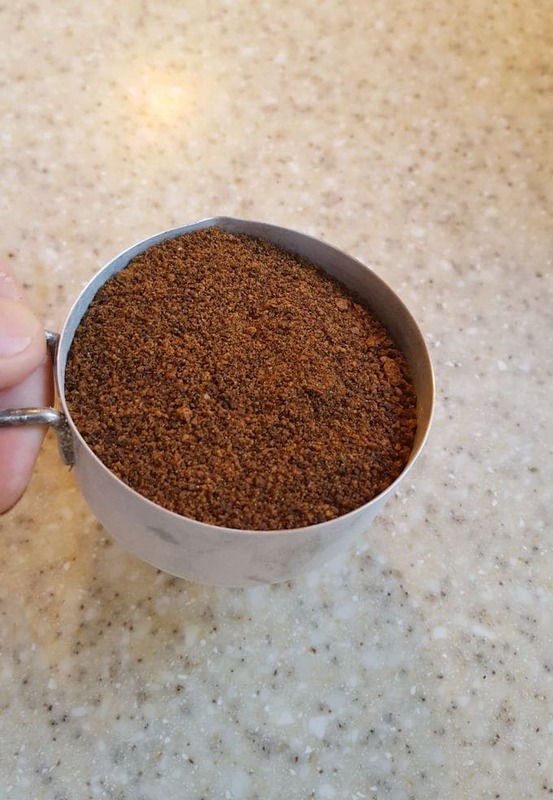 Grind the toasted bread crumbs until they resemble coffee grounds. Slash the risen loaf and brush with egg white before baking. Whenever you’re working with sourdough you’ve got to be flexible with the timing. The fermentation and rising times can vary based on how active your starter is, the dough temperature, the room temperature, etc. 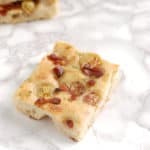 If you’re a little impatient, you can use just a 1/2 teaspoon of commercial yeast to boost the dough. This won’t take over the natural yeast in the starter, but will speed up the process a little bit. This dough is fairly sticky. Use just enough flour to keep the dough from sticking to your hands and the work surface. 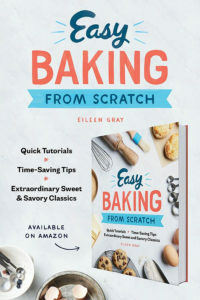 For easy cleanup, dip your sticky hands into the flour bin, hold them over the trash can and rub them together to clean off the sticky dough. After three hours of rising and folding the dough should be resilient and airy. If after 3 hours the dough still feels very dense you can give it another hour or two rising time or you can put it in the refrigerator overnight for a long, slow rise. After shaping the dough you can refrigerate the loaf overnight and bake in the morning. The extra-long rise in the refrigerator will give the bread and even deeper flavor. For a flavor variation, fold in 1 tablespoon of caraway seeds just before shaping the loaf. 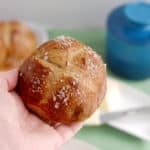 This dough can also be portioned and rolled into individual balls to make rolls. Cut into 8 portion for larger sandwich rolls and 12 portions for smaller rolls. 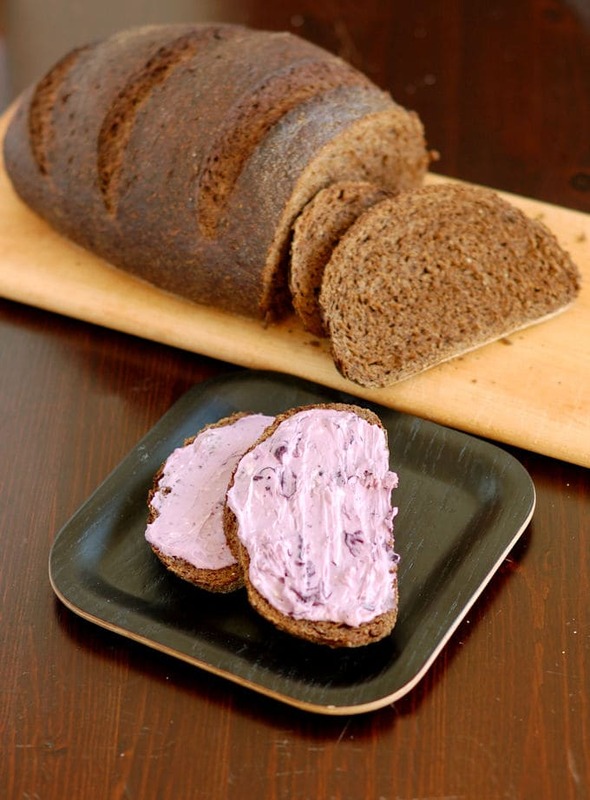 Sourdough Pumpernickel Bread is my favorite bread for making a tuna sandwich. 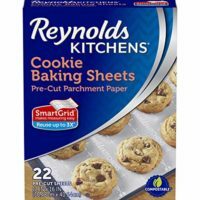 It’s also great for breakfast with blueberry cream cheese or any creamy topping. This bread makes a killer grilled-cheese sandwich. If you love this recipe, please consider giving it 5 stars. 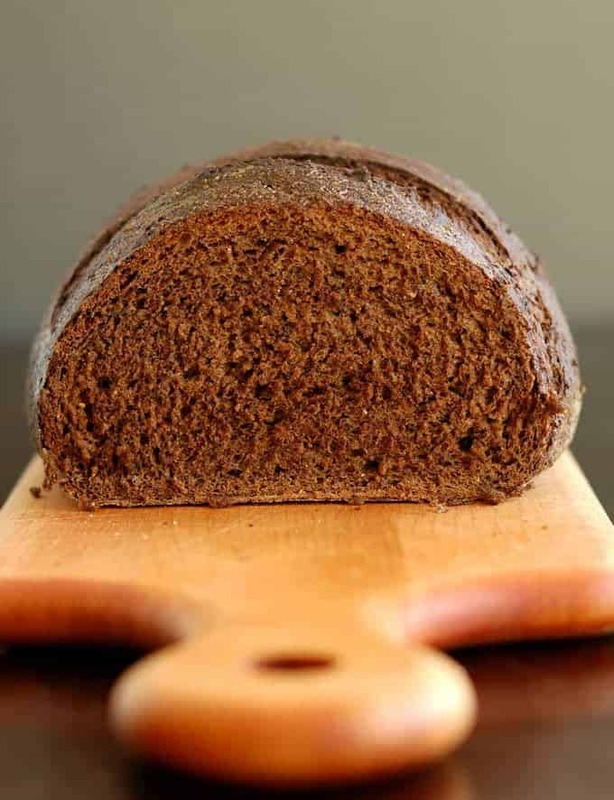 A dark and flavorful pumpernickel bread made with coffee, cocoa, molasses and old bread. This is a great sandwich loaf. 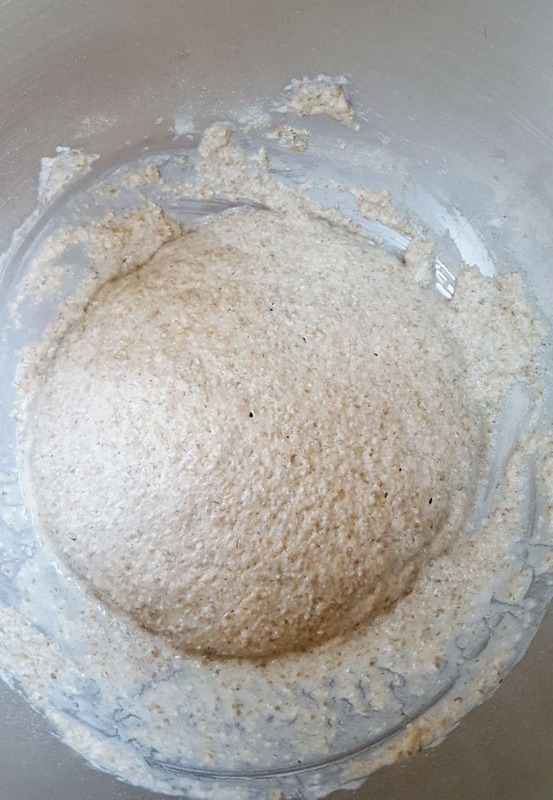 Combine the sourdough starter, rye flour and warm water. Cover the bowl and let it ferment about 6-8 hours at room temperature (you can do this the night before and continue making the dough in the morning). In a large mixer bowl, combine the active rye starter with the coffee, barley malt syrup, cocoa, salt, rye flour, toasted bread crumbs and whole wheat flour. This dough is quite sticky and dense and I find it easier to finish by hand rather than with a dough hook in a stand mixer. Add as much of the bread flour as you can by hand then dump the dough onto a floured surface. Continue kneaing in the rest of the bread flour. Use more flour as needed to prevent sticking. The dough may still be a little soft and tacky but should form into a smooth ball. Place the dough into an oiled bowl, turning once to coat. Cover and set at room temperature for 1 hour. After an hour, working from four corners of the dough (still in the bowl) use your hand to lift the top edge of the dough over into the middle of the dough. Repeat with the other 3 sides then flip the dough over. Cover and set at room temperature for another hour. Repeat the folding procedure 2 more time so the dough rises for a total of 3 hours. Turn the dough out onto a floured surface and fold each of the four sides into the middle again. Flip the dough over, shape into a ball then roll the edges to form an oval shape. 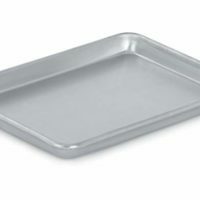 Transfer the loaf to a sheet pan lined with parchment paper or onto a baking peel dusted with cornmeal. Cover the loaf and rise until almost doubled in volume (about 1 - 1.5 hours). the rising time will vary base on how active your starter was, the room temperature, etc. While the dough rises preheat the oven to 350°F. If you've got a baking stone put it in the oven to preheat. If you'd like to create steam in the oven use a pan with heated stones. 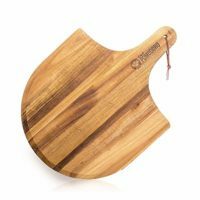 When the bread is risen, use a sharp knife or blade to slash the top of the bread 4-5 times across the short side. 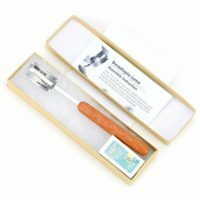 Brush the surface of the bread with egg white and bake until the temperature reaches 190°F-200°F in the center of the loaf, or the bread sounds hollow when tapped on the bottom. About 35 minutes. Make sure your starter has been fed and is active before taking a portion to make the rye starter. 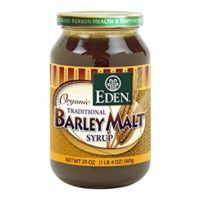 You can use 1 tablespoon of molasses plus 1 tablespoon of honey in place of the barley malt syrup. Grind old slices of rye, pumpernickel or sourdough bread to fine crumbs then toast in the oven until deeply browned, but not burnt. I do love baking bread! And I can’t get enough rye breads – they just bake so well and smell so good. 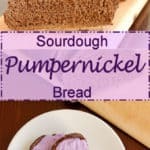 I’ve yet to make a pumpernickel, I think this just got added to my weekend menu! Thank you! Hope you like it. I love it! 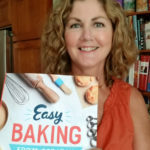 Hello, your recipe looks great and I am anxious to try it. A couple questions….is your starter 100%? I usually work in grams instead of cups, etc. Wondering if this will work if I convert it?? Hi Rebecca. Thanks for the questions. I have been updating my recipes to include metric measurements and hadn’t updated this one yet. I’ve added both US and metric weights to the recipe. My starter is typically fed with equal volume of flour and water; e.g., 1/2 cup of flour and 1/2 cup water. According to this website, that would give my starter a 166% hydration. It is a fairly wet starter. It has the texture of a pancake batter. Let me know how you like the bread if you make it. thanks! that helps so much! Sure, and thanks for the question. Reader questions always help me clarify the recipe. Where do you get rye flour? I have looked for it many times but can never find it. Hi Barb, the markets in my area sell rye flour in the baking aisle. You can also buy it on-line. Il pane e buonissimo !qui in Italia e difficcile trovare il vero pumpernickel xcio me lo sona fatta a casa seguendo la ricetta e un vero successo! I put your comment through Google translate and I think you’re saying that’s it’s hard to find Pumpernickel bread in Italy and that you made this bread and it was good. If that’s why you said, thanks! I’m glad you like the recipe.